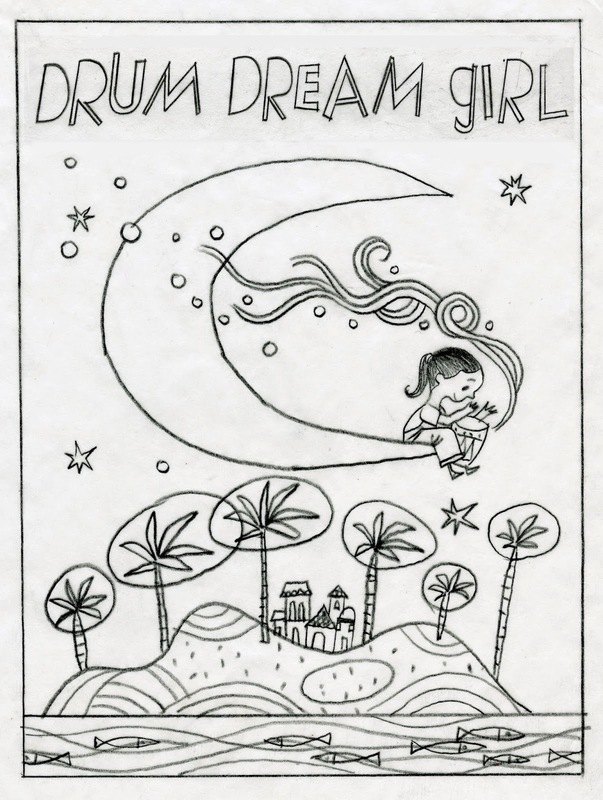 My seventh children’s book Drum Dream Girl for Harcourt Houghton Mifflin now rests in the hands of the printer. 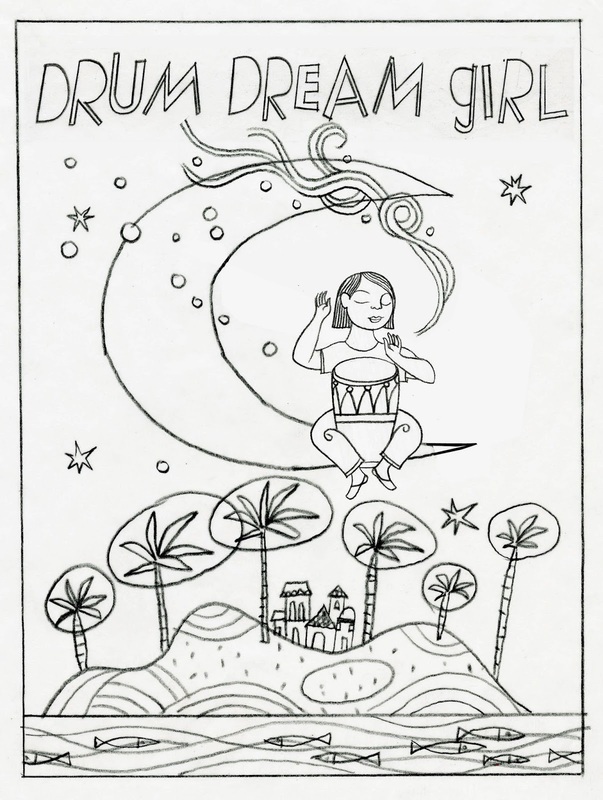 The stirring poetry of Margarita Engle illuminates the life of a brave ten year old Chinese-African-Cuban girl who was able to break the island’s taboo against female drummers. 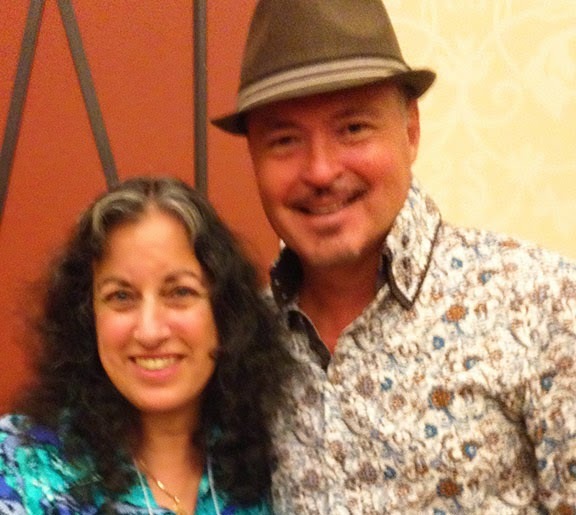 A lyrical, inventive Cuban-American author, Margarita is the first Latina to ever win a Newbery honor and likes to write about independent thinkers ahead of their time. I’m a huge fan of her immensely powerful written words and the chance to work with this poetic text exceeded my expectations. My own journey with Millo our heroine, began in the summer of 2013 where most of my books begin in the basement of our home in San Miguel de Allende, Mexico. At an old wooden table stained with the colors of past books, next to the washer and dryer, with dozens of crickets offering their opinions all at the same time. During this process I found a small garden snake in the wastebasket next to my desk stuck to the used masking tape. The little guy was thirsty and my son and I nursed the creature back to health then let it go in a nearby field. Much like the snake when you start a book you sort of crawl on your belly through tall grass looking for the right path. 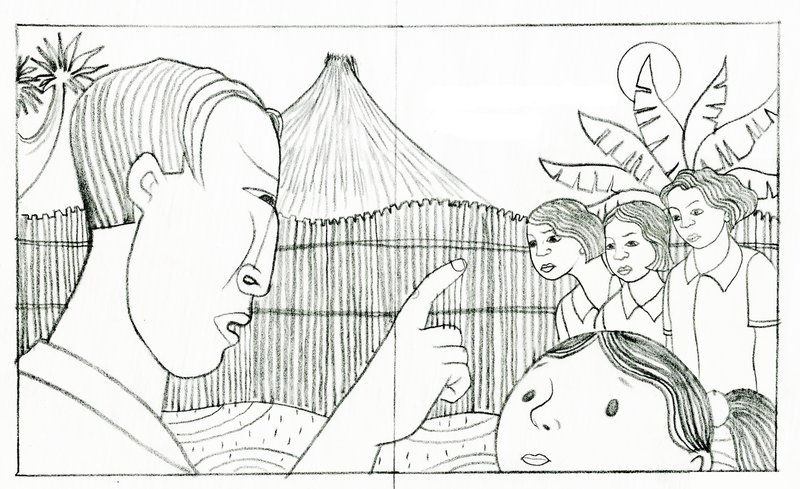 As you can see in the early sketches for the book I had to search for Millo. At this point in the process I first lose myself in the text. What’s so captivating about Margarita’s poetic words is that they literally open doors beckoning me to try new things. Her poetic style gave me the freedom to invent as well as children the chance to do their own dreaming. 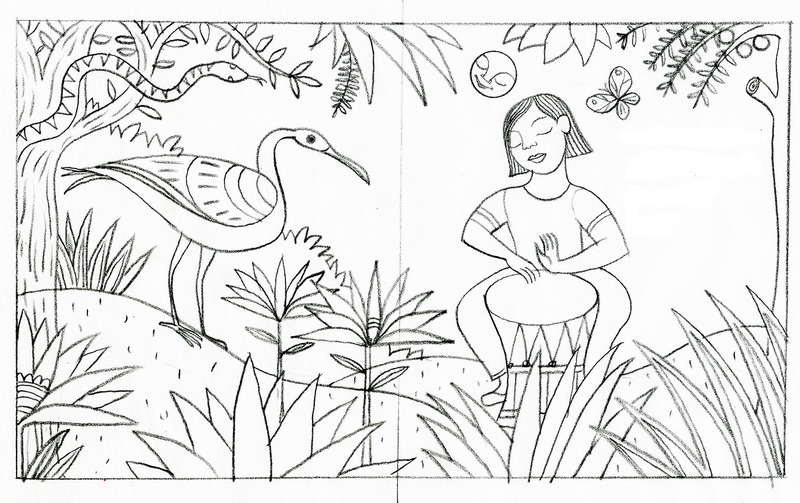 As an illustrator I don’t want to reveal all the details too soon but stay in step with the unfolding story giving young readers the opportunity to fill those spaces in. As the prose unfolds jungle animals and objects bring dimension to the words. The story of this young girl reminded me of my own mother’s struggles. She was in the first generation of female architects in Mexico and faced so much resistance even from her own family. In order to pursue her studies she took several side jobs and told her parents she was taking sewing classes. Her courage and persistence opened the glass ceiling. She successfully entered a male dominated profession in a traditional culture. 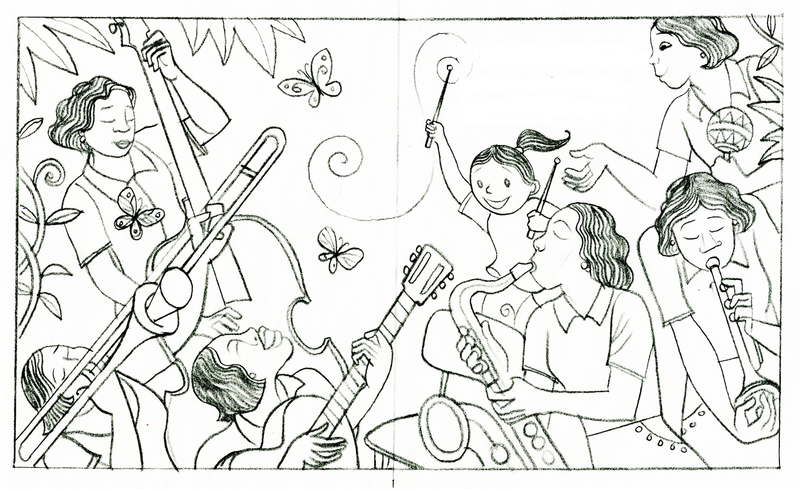 I also grew up with three sisters and considered their relationships to each other when developing Millo’s sisters who were part of an all girl band. To channel Engle’s words I realized early on that I needed to think abstractly. To switch from something concrete to abstract and back again. To dance intuitively between the two, criss-crossing the river of abstraction. I wanted to connect these two aspects of Millo’s story and switch back and forth from reality to dreams. 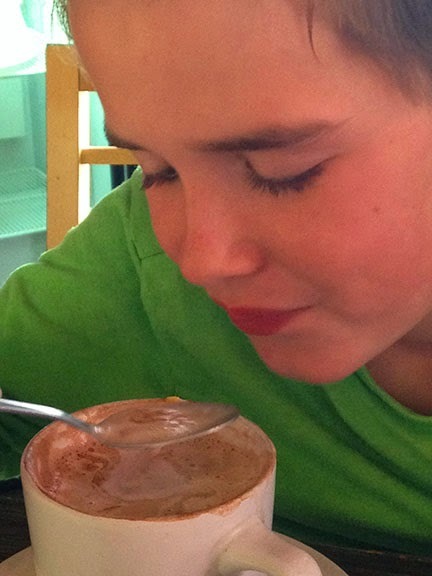 For this reason, on some spreads the moon has a face and sometimes it doesn’t. When Millo dreams imaginary animals appear but at other times real creatures like a parrot whiz by during her walk in the park. It really all begins by sketching, sketching and more sketching to develop the main character and all I can say is that you just know when it feels right. There’s a great deal of research to get the facial expressions correct and craft her personality. As an artist I’ve always embraced the challenge of conveying the emotions of a character. When I designed the Latin music legends stamps for the U.S. Postal Service I needed to infuse the images of Celia Cruz, Tito Puente, Carmen Miranda, Selena and Carlos Gardel with the energy and spirit of their music. Creating portraits that resemble photos has never interested me and I’m more intrigued to find the nuances that make each face like a unique thumbprint. 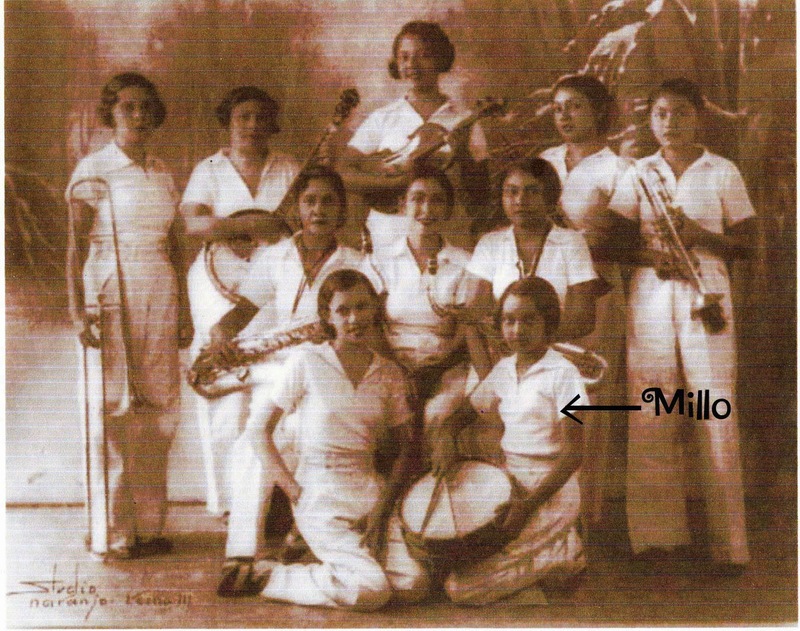 I worked with Margarita and searched books and the Internet for images of Millo and her band of sisters in Cuba. I gathered many images and made a mood board to post in my workspace. At every opportunity I work to live in my characters skin. I keep on drawing till I clearly hear Millo’s voice whispering in my ear when I go to sleep. This determined young girl had her own destiny to fulfill and along that path were twists and turns. I try to imagine how my character moves through the world and tune in to that beautiful struggle. For this book I wanted to explore surrealistic ideas and get experimental with the visual elements. I was determined to not be chained to reality and spent many afternoons out with my camera exploring. On one of these walks I ordered homemade Mexican chocolate with whipped cream and multi-colored sprinkles for my young son. He got this far-off look in his eye that motivated me to continually search and document those dreamy expressions on the faces of children. These photographs and sketchbook observations really informed the gaze and features of young Millo. I wanted to do something different with this book so I changed my palette. The more subdued colors and one of the spreads were a tribute to the work of one of my illustration heroes, the self taught Mexican caricaturist and artist Miguel Covarrubias. 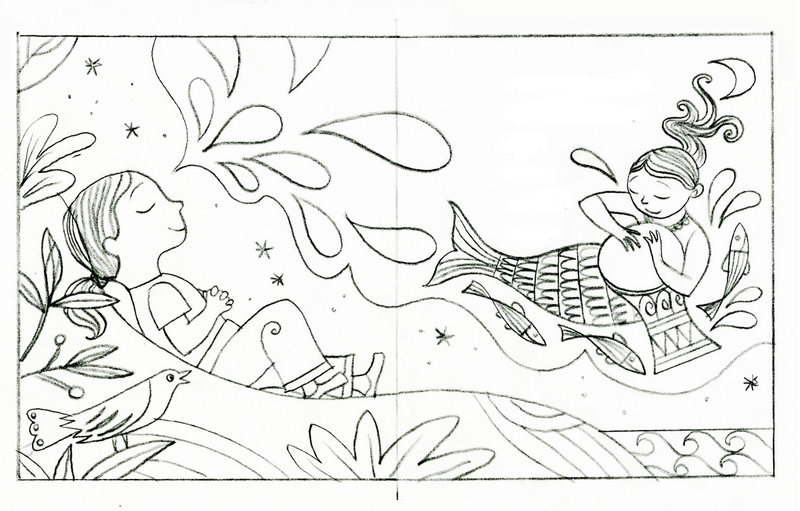 There are many night scenes in this book as it speaks to the dreaming of Millo. 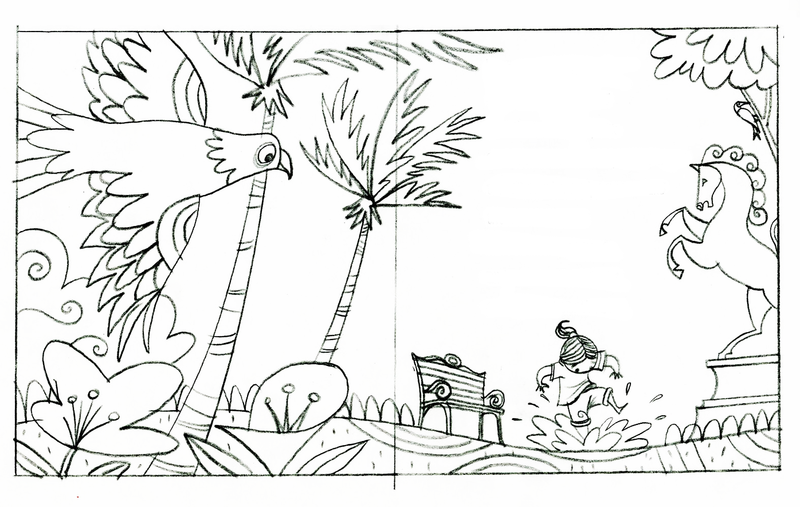 In the plant life of one jungle scene spread you can find echoes of Henri Rousseau. Many influences play into my thinking and dreaming for this book. The proofs looked solid and I’m dreaming of our books release in 2015.